Wixstars Casino Review, Details, Welcome Bonus - Worth it? Wixstars casino is an online casino that was launched in 2016, the casino is double licensed holding license from Malta Gaming Authority and UK Gambling commission. The casino is powered by multiple quality gaming software like Microgaming, NetEnt, Play’nGo, Blueprint gaming. 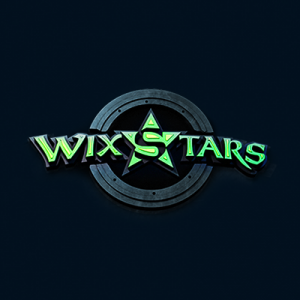 There are more than 20 deposit and withdrawal methods available at Wixstars casino which surely is one of the pros. The online casino website is mobile friendly and has lot of games and slots available for you to enjoy for real money. For those who love enjoying live casino games, then it has got something for you as well. Is it worth it? Take a deep dive into the details of Wixstars online casino and see for yourself if it suits your requirements and demands or not. Promotional Welcome Bonus : Grab a whopping £/€200 + 100 extra spins or 100% up to $/£/ EUR 300 + 50 Free spins in Starburst for new players only, you may know their full bonus terms and conditions here. Available to the players from UK. Not for the US players. Live chat is not available 24/7. The withdrawal speed of Wixstars casino is good to proceed with. The e-wallet transfer takes a maximum of 24 hours which is not bad for sure. The pending period is maximum 48 hours. As said the welcome bonus at Wixstars casino is £/€200 + 100 extra spins or 100% up to $/£/ EUR 300 + 50 Free spins in Starburst, to avail the latter welcome bonus, you need to use the welcome bonus code 300STARS. NOTE: The welcome bonus at Wixstars casino gets automatically added to your account if there is any promotion going on. If you play with the bonus, then you will have to fulfill the wagering requirement which normally is 35x. If you don’t want it, then immediately contact their support to forfeit the bonus. The customer support at Wixstars has some pros and cons both. The pros are : live chat is available, it’s fast and you can also reach them via email which is available 24/7. The cons are : live chat isn’t 24/7 and there is no phone support. The casino is powered by 4 high quality gaming software: Microgaming, NetEnt, Play’n Go, and Blueprint gaming. The games are being served from the trusted gaming providers which ensure fairness and no cheating. Casino has a bunch of games and slots to try, it has table games, live casino games, video slots, scratch cards etc. Wixstars casino uses SSL encryption to secure and encrypt your private data. This is a must that you should look for at any casino, if there is no SSL encryption, then avoid it as there is a chance of your sensitive data getting stolen easily. Talking about fairness, then the casino has been proven fair. It uses reputed gamin software which are well-known in the industry and used by leading online casinos in the world. Wixstars casino is a double licensed casino holding UK and Malta license. It has a good customer support but live chat is not 24/7. The welcome bonus is fine and the games are being provided by top quality gaming providers. Worth trying!